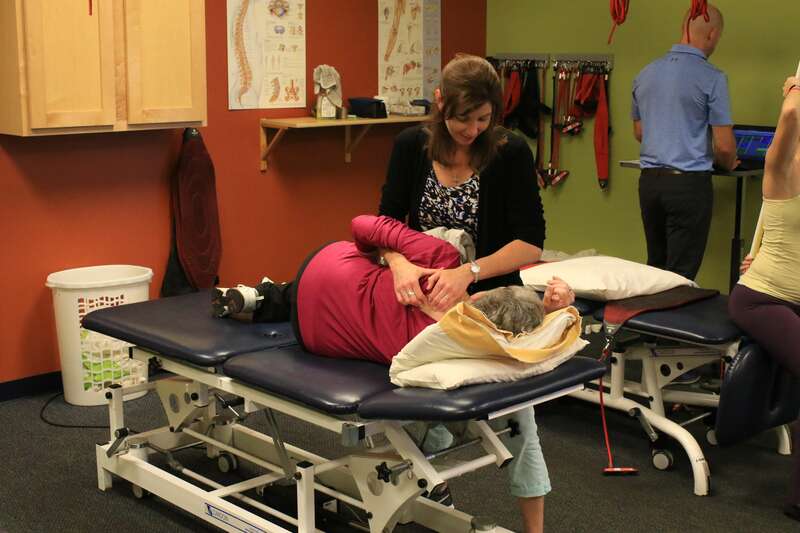 For many physical therapists, it’s all hands on deck. They use manual therapy techniques on soft tissue and joints that are intended to modulate pain, reduce inflammation, increase range of motion and reduce restriction. Hands-on therapy is also intended to decrease edema, enhance health, remediate body functions and structures and to maintain physical performance. But, before performing any type of hands-on treatment, a physical therapist will perform a full assessment of bone and muscle and blood and nerve supply in the affected area. Depending on that assessment, a physical therapist may perform some or a combination of the following types of manual physical therapy. You can feel confident that a physical therapist will choose the best manual therapy for your condition. The OMPT system utilizes knowledge of the neuroanatomical system and biomechanics to systematically and comprehensively examine, differentially diagnose, and treat the root cause of pain and dysfunction. OMPT trained therapists have completed a 2-year residency program specializing in advanced training in manual mobilization, manipulation and functional massage for the extremities and spine. You have hundreds of joints in your body, which come in a variety of types and sizes. Joints, formed by the articulating surfaces of two or more bones, depending on a combination of both stability and mobility in order to help you function efficiently and comfortably. Importantly, joints are supported by a wide variety of physiological structures including capsules, ligaments, tendons, cartilage, and muscle fibers, all of which can become injured and potentially benefit from physical therapy services, including a service known as joint mobilization. Skilled joint mobilization involves providing the correct amplitude, velocity, and direction of force to passively move restricted joints and to restore normal movement. The joint is moved in a manner that the patient cannot do on their own. The primary effects of joint mobilizations include pain reduction, improved range of motion, and improved quality of joint movement itself (known as arthrokinematics). Muscles play an important role around the joints. If there is too much tension, there can be muscle spasm and joint dysfunction. With soft tissue mobilization, the fibrous muscle tissue is broken up. Typically, this is scar tissue or adhesions. This procedure is often applied to the musculature surrounding the spine and extremity joints and consists of deep pressure and rhythmic pressure. A layer-by-layer assessment is done by the physical therapist to localize the affected area. Soft tissue mobilization can also involve placing a traction force on the affected area. Functional massage is similar soft tissue technique that incorporates joint motion with massage to treat musculotendonous pain and dysfunction. All around, soft tissue mobilization has helped reduce pain and remove restricted movement in many patients. This manual therapy technique is a bit more aggressive than the others. Its goal is to allow the joints to open and close more effectively to restore motion. The joint is taken to its restrictive barriers and stretched. However, it does not move the joint past its anatomical limit, so there is no pain or structural damage. This technique specifically increases range of motion. If you’re in pain or have limited activity to do a medical condition or injury, a physical therapist can be your lifesaver. Contact us at Battle Creek, Kalamazoo, Mattawan, Plainwell & Portage, MI centers to schedule an appointment for a consultation and comprehensive evaluation. Our physical therapists are certified, trained and experienced. They’ve helped many on the road to recovery and can help you too.